Last weekend, Erin Lesser, Matt Marks and I played for Art Trek Plus at the Metropolitan Museum of Art. Our participation was part of Alarm Will Sound’s residency at the museum. For Art Trek we performed works for children, ages 5-12, and spoke about their relationship with visual art. The presentation also included an interactive activity: the participants improvised sounds with Matt, drew landscapes with Erin and created their own abstract works with me. 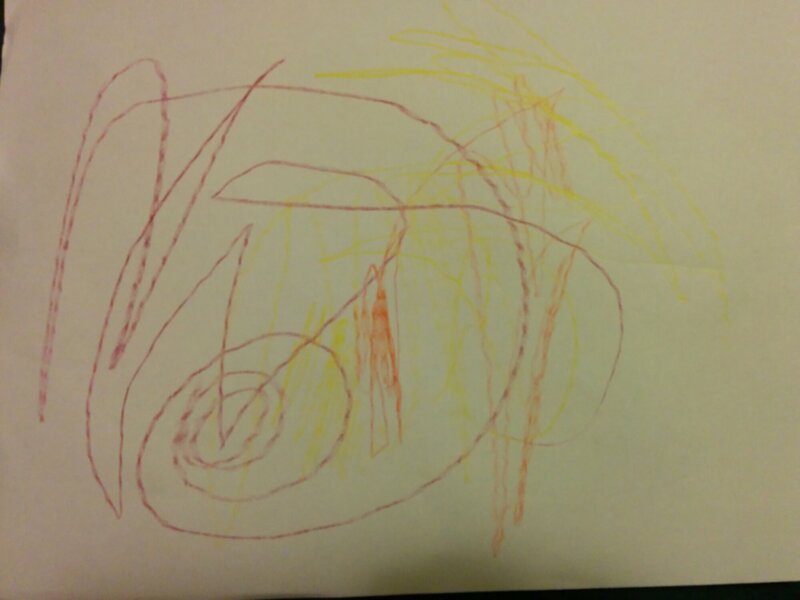 I performed Scelsi’s Tre Pezzi, not something someone would traditionally perform for that age group. I ran it by my daughter beforehand, figuring if a three year-old could handle it this group should be OK. It went over well at home and at the museum. I performed in Gallery 911 in front of two works by Burgoyne Diller, one in gray, the other in black and white and punctuated with primary colors; both using, primarily, rectangles to create form on the square canvas. 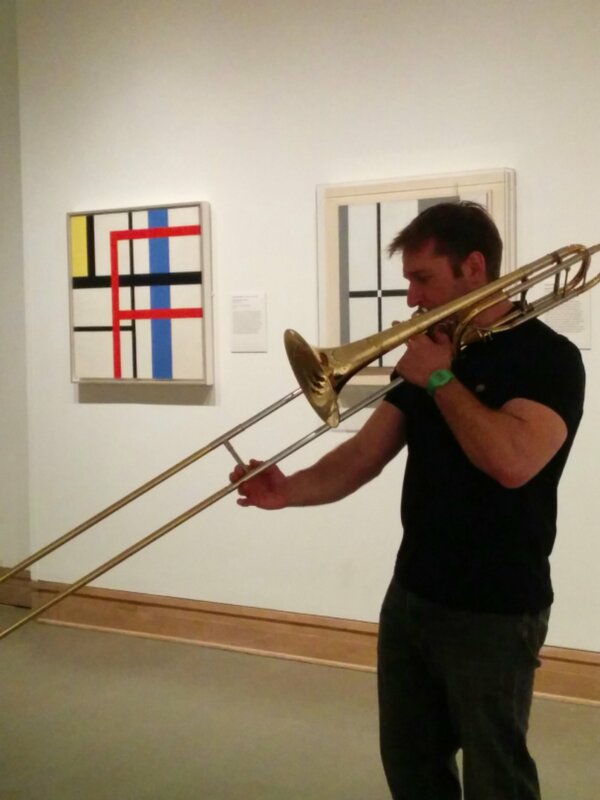 This entry was posted in Music, Mutes, Photos, Trombone and tagged Art Trek Plus, Burgoyne Diller, Metropolitan Museum of Art, Scelsi, Trombone on March 27, 2014 by mich5812.